personalized mom jewelry - It's a gift from the heart, your heart that they will keep close to their own heart, every day. And every time they put it on, they will remember that you took the time to create such a meaningful gift to commemorate their new little one. 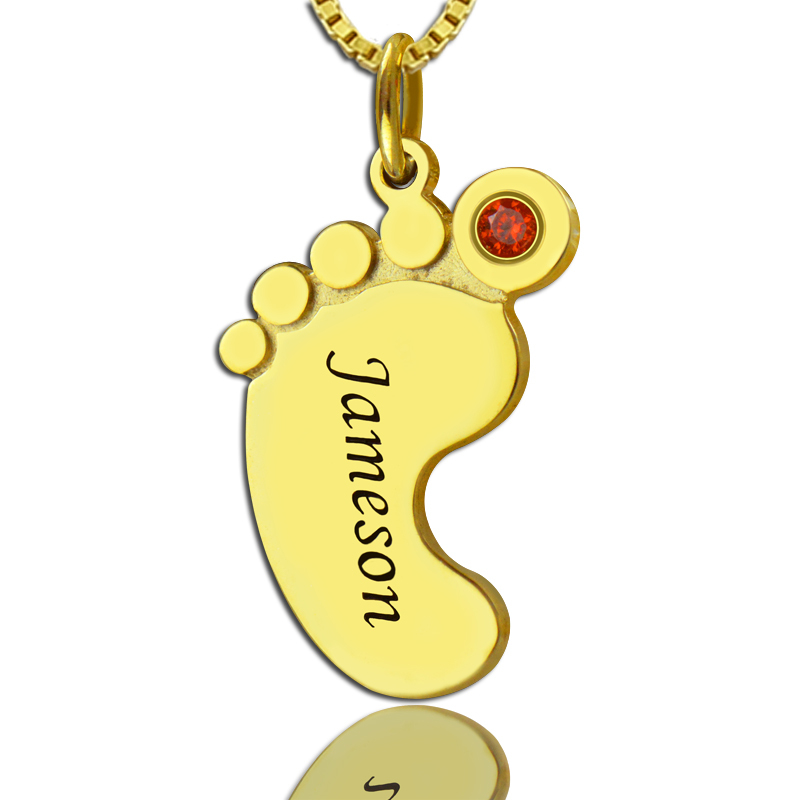 Our personalized mom jewelry baby feet name necklace with birthstone gold is set with baby's synthetic birthstone, custom inscribed with baby's name and birthday the on sweet tiny footprints necklace.